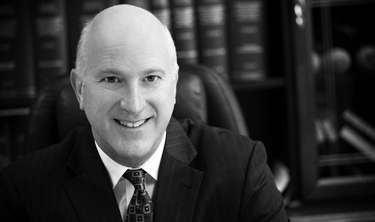 Scott Meyerhoff is a transactional real estate attorney and a partner of Sherry Meyerhoff Hanson & Crance LLP. Scott joined the firm in 2002 after practicing with O’Melveny & Myers LLP for nearly 18 years, the last 9 years as a partner in O’Melveny’s Newport Beach office. Scott has broad experience in the representation of institutional and entrepreneurial clients in a wide variety of real property related transactions. He has extensively represented real estate companies and entrepreneurs in the acquisition, development and financing of residential, commercial office, retail and industrial projects. He also represents a number of institutional and entrepreneurial clients in connection with various types of financings, both secured and unsecured. Additionally, Scott has extensive experience in a variety of other real estate matters, including ground leasing, movie theater leasing and the formation of joint ventures for the development, ownership and operation of real estate. Representation of The Irvine Company in billions of dollars of financings including the financings of Irvine Spectrum, Jamboree Center, Pelican Hills Golf Course, Newport Bluffs Apartment Homes and Hyatt Hotel. Representation of MIG Real Estate, LLC, in the acquisition of apartment complexes and retail centers in California, Hawaii, Colorado and Texas. Represented a large institutional lender in the workout of debt and the liquidation of real property assets of a national home builder. Represented national real estate investment trusts and real estate companies in structuring and negotiating secured and unsecured revolving and term loan credit facilities with institutional lenders.